Elena and Jeremy are not seeing eye-to-eye during The Vampire Diaries. That's what happens when the former helps to erase the memory of the latter. 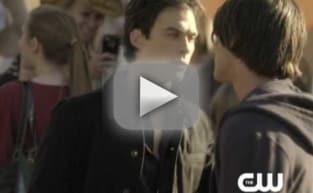 The Vampire Diaries Season Finale Photos: "Founder's Day"
The Vampire Diaries Music: "Founder's Day"